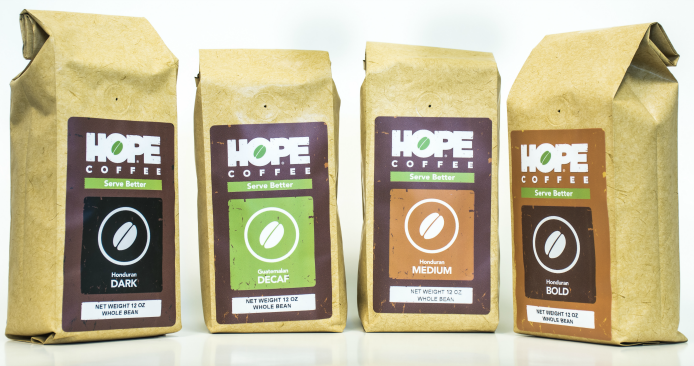 You can help support the sharing of the gospel in Honduras, Mexico and Africa every time you order HOPE Coffee. It’s really that simple. Will you partner with us? Save time and 15% by subscribing to a monthly shipment for your organization and never worry about running out of coffee again! (Unless everyone drinks it all the first day, since it’s the best coffee they’ve ever had. In that case, give us a call and we’ll send you more.) Free shipping on orders over $125. Not ready for a monthly shipment? Save 10% by signing up for an organizational discount to order online anytime. Choose standard shipping and never pay more than $10 in shipping per order – no matter how much you buy! Need coffee for your home? Save on shipping and never have to remember to reorder by selecting our Monthly Java Club. Simply fill out the form below to get started. You can also inquire about a wholesale account, opening a HOPE Coffee bar / licensed shop, or request that we give you a call.